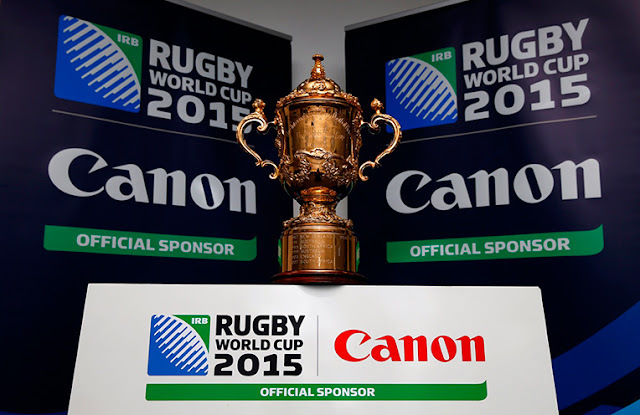 United Kingdom, Republic of Ireland, 27th August 2015 - As Official Sponsor of Rugby World Cup 2015, Canon is giving customers the chance to win one of 50 pairs of tickets when they buy a selected Canon product. Lucky winners will receive a pair of tickets to attend a Rugby World Cup 2015 match held at one of 13 venues around England and Wales. With Canon’s starting line-up of products, including the EOS-7D Mk II, EOS-750D and PowerShot G7 X, customers can get closer to the action to capture those all-important sporting moments. Apple is expected to unveil their iPhone 6S and iPhone 6S+ on September 9. The new phones apparently will come with a 12MP sensor camera and capable of recording 4K video. In addition, the front camera may come with a flash and has been upgraded to shoot panorama shots and 720p in slow motion. Rumor has it Apple is about to release an ad touting the theme, “Shot in 4K on an iPhone” to coincide with the launch of the new phones. If true, some might say these new iPhones will make DSLR cameras 'obsolete'. Keep checking back for the latest development. The Japanese photography blog, Egami, has discovered a new Canon patent for a flexible and expandable LCD screen for digital cameras. The LCD screen is expanded by rotating the grip side of the camera. The technology may apply to both DSLRs and compact/mirrorless cameras. It appears the camera can provide a 'larger' LCD screen if the user desires, judging from the translated material. MELVILLE, N.Y, August 27, 2015 – Canon U.S.A., Inc., a leader in digital imaging solutions, today announced that its parent company, Canon Inc., has developed Blue Spectrum Refractive (BR), a new optical element for use in camera lenses that corrects chromatic aberrations at an extremely high level to achieve superb imaging performance. The new Canon-developed BR optical element offers characteristics that significantly refract blue light, which lies within the short-wavelength range, to achieve impressive levels of chromatic aberration correction for outstanding imaging performance. The BR optical element, positioned between two glass lens elements to create a BR lens, will make its debut in the new EF-35mm f/1.4L II USM lens, which is scheduled to go on sale in October 2015. Natural light, or white light, comprises a spectrum of wavelengths, or colors, each of which realizes a unique refractive index when passing through a lens. As all colors do not converge on the same point, this disparity causes chromatic aberrations, or color fringing, to occur in an image. Canon develops optical elements by reviewing organic optical materials, beginning with the design of molecular structures, with the aim of achieving optimal chromatic aberration correction that suppresses color fringing. 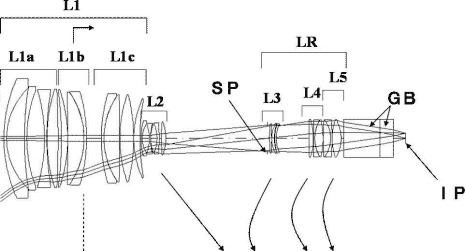 With the successful development of the BR optical element, which offers unique light-dispersion characteristics that significantly refract blue light - a wavelength that, until now, had proven particularly difficult to converge to a specific focal point - Canon is able to develop lenses that result in outstanding imaging performance by correcting chromatic aberrations at an exceptionally high level. 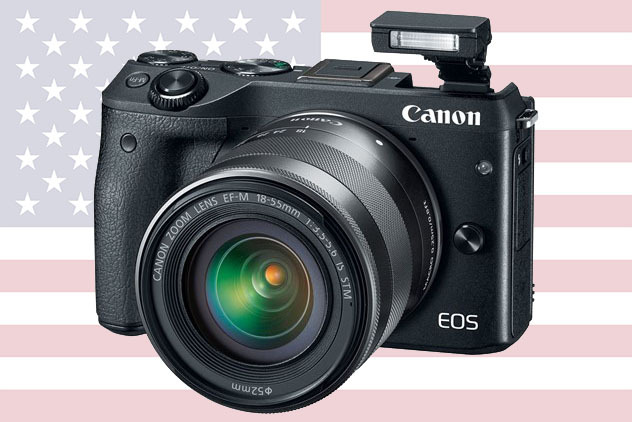 Canon EOS-M3 mirrorless camera coming to the U.S.A.
MELVILLE, N.Y., August 27, 2015 – Canon U.S.A. Inc., a leader in digital imaging solutions, today announced the EOS M3, a compact and stylish interchangeable lens digital camera created for enthusiast photographers who demand premium performance. Fusing Canon’s outstanding image quality and DSLR-levels of control in a small and lightweight camera body, the EOS M3 camera offers the ability to capture important moments in outstanding detail. Intuitive Touch Screen 3.0-inch tilt-type (180 degrees up/45 degrees down) ClearView II LCD screen (approximately 1,040,000 dots), perfect for quick focusing and shooting, easy menu navigation, and simple viewing of images and videos. Photographers familiar with other Canon EOS cameras will note the EOS M3’s interface is similar to Canon’s current EOS DSLR cameras, making operation easier for existing users. The LCD panel’s tilting capability makes it easy to shoot from various angles while the capacitive touch screen allows intuitive image capture and playback with easy-to-understand information and real-time controls. The EOS M3 camera offers photographers the flexibility to unleash their creativity through its compatibility with Canon EF-M lenses as well as a wide variety of Canon EF and EF-S lenses when used with the optional Mount Adapter EF-EOS M. Other compatible Canon accessories include EX-series Speedlite flash units, Speedlite Transmitter ST-E3-RT, and Electronic Viewfinder EVF-DC1. Users will also have the ability to remotely capture and share images with Canon’s Camera Connect smartphone application**, using the EOS M3’s integrated Wi-Fi® and NFC connectivity. Canon has announced the EF-35mm f/1.4L II USM, a new wide angle L-series lens designed for professional photographers wanting to capture their world with a natural perspective. You can see sample images on Canon's China website and more samples taken with the production model of the new lens. The successor to the legendary EF-35mm f/1.4L USM, the lens is the world’s first to feature Canon’s new Blue Spectrum Refractive (BR) optics – ensuring sensational image quality across a diverse range of scenes, from news and sports scenes to weddings. Blue Spectrum Refractive (BR) optics is a pioneering Canon technology that helps significantly reduce chromatic aberration and produce sharper images. The EF-35mm f/1.4L II USM has been crafted following feedback from Canon’s community of professional photographers and includes a range of advanced optical technologies to deliver the outstanding image quality professionals expect from L-series lenses. 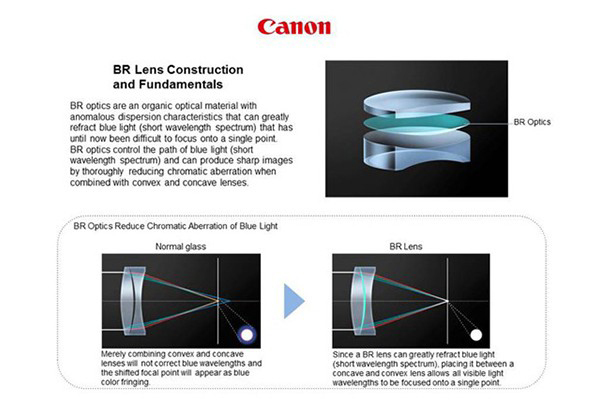 The new lens is the first to include BR optics, a new pioneering Canon-developed lens technology featuring an optical material integrated into a compound element to help significantly reduce chromatic aberration and produce sharper images. Together with Canon’s high performance lens coatings, including SubWavelength structure Coating (SWC), the lens delivers results with improved contrast and minimal flare and ghosting. Perfect for capturing images with a documentary feel, using its wide 35mm fixed focal length, the EF-35mm f/1.4L II USM is the ultimate choice for photojournalists, sports and wedding photographers alike. With its wide-angle view photographers can shoot subjects in their natural habitat within the context of their environment, and without distortion. To create shots with beautiful background blur and standout portraits, the fast f/1.4, nine-blade aperture can be used to control depth-of-field, as well as enabling photographers to continue shooting as light levels start to fade. For a rapid response to scenes unfolding in front of your eyes, the EF-35mm f/1.4L II USM features a ring-type ultrasonic motor to drive the extremely quick and near silent autofocus. A full time manual focusing ring allows you to make fine, real-time adjustments, whether shooting stills or movies. Designed to withstand challenging shooting environments and prolonged use, the EF-35mm f/1.4L II USM boasts the iconic design and build DNA associated with Canon’s flagship L-series lenses. Advanced weather sealing and fluorine coatings help protect the lens against adverse weather conditions and the robust body ensures durability. Super wide f/1.4 aperture for low light shooting and depth-of-field control. New Blue Spectrum Refractive optics (BR) provides stunning sharpness and contrast. USM focusing motor for superfast and silent focusing. Weather-sealing and fluorine coating protects against dust and moisture. Minimum focus distance of 0.28m and maximum of 0.21x magnification. 9-blade aperture for beautiful ‘bokeh’ focus blur. Full-time manual focus ring with full-time manual focusing possible. 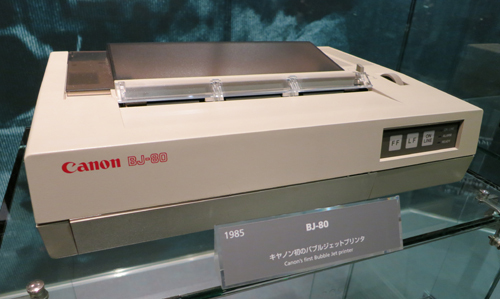 List price - $1,799 in the U.S.A.
TOKYO, Japan, August 26, 2015 - Canon Inc. today commemorated the 30th anniversary of the launch in 1985 of the BJ-80, the Company’s first inkjet printer employing Bubble Jet technology. In the mid-1970s, Canon researchers carried out research and development into the wide range of possibilities offered by inkjet technology. In an experiment conducted during that time, the tip of a soldering iron came into contact with a syringe needle containing ink, causing ink droplets to spurt out of the tip of the needle. This incident led to various experiments and tests which, in turn, resulted in the creation of Canon’s proprietary inkjet technology that uses the heat from a heater to eject ink droplets. In October 1977, the Company submitted a basic patent application for the world’s first thermal inkjet (Bubble Jet) technology, laying the foundation for future inkjet printer development. Thanks to numerous technological advancements following the submission of the basic patent application, in 1985, Canon launched the world’s first inkjet printer to employ Bubble Jet technology: the BJ-80. Furthermore, in 1990, the Company introduced the notebook-size BJ-10v inkjet printer, which combined an ink tank and print head into a single ultra-compact ink cartridge, and in 1993, launched the BJC-600J, the world’s first consumer-model inkjet printer to enable full-color output on plain paper. In 1994, Canon’s Bubble Jet printing system was recognized in Japan with the prestigious Imperial Invention Prize at the National Commendation for Invention* awards ceremony. Through the continued pursuit of further innovation, in 1999, Canon launched the BJ-850, the Company’s first printer to incorporate FINE (Full-photolithography Inkjet Nozzle Engineering) print head technology to achieve high-quality photo prints. And to this day the Company is working to further enhance its FINE print head technology. In 2001, Canon debuted the PIXUS brand (PIXMA in other regions), which the Company continues to use for its current inkjet printer lineup, and in 2004, the PIXUS series further evolved, featuring body designs that complement a variety of interior environments and continues to be implemented to this day. This evolution helped to open up new possibilities for printers which, until that time, were generally perceived as simply PC peripheral equipment. In this way, Canon is further enhancing its PIXUS series not only on the design front, but also in terms of functionality by offering models featuring wireless printing capabilities, connectivity with cloud-based services and other advancements to match the evolving lifestyles of users. Canon, making use of the technologies and know-how accumulated to date, will continue to offer technologies and products that respond to the expectations of a wide range of users. Click here to see the latest announcement of Canon's Pixma printer line. I estimate the list price of the lens will be around $2,000 in the United States. 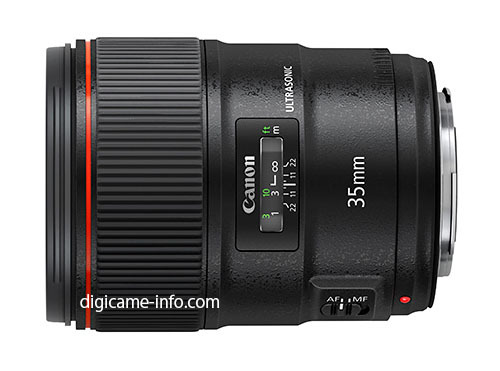 Together with the announcement of the EF 35mm f/1.4L II lens, the EF-M 15-45mm f/3-5-6.3 IS STM lens and Rebel SL2 camera may also be announced. Keep checking back for the latest news. The Canon EOS-5Ds and EOS-5DsR cameras are available everywhere now. DxOMark recently came out with their sensor score on the camera and compared it to the Nikon D810 and Sony a7R. I have compared the EOS-5D Mk III to the EOS-5Ds for those who are contemplating buying either camera or upgrading to one. There is a top-rated merchant on eBay selling the Canon EOS-5Ds camera for $3,200 including free shipping. The list price is $2,700 so if you are interested in buying one, don't delay too much longer. Canon recently put out a list of recommended lens with this camera and there is also a Canon rebate program going on right now if you buy the camera with specify lens. I estimate the list price will be just below $2,000 in the United States. 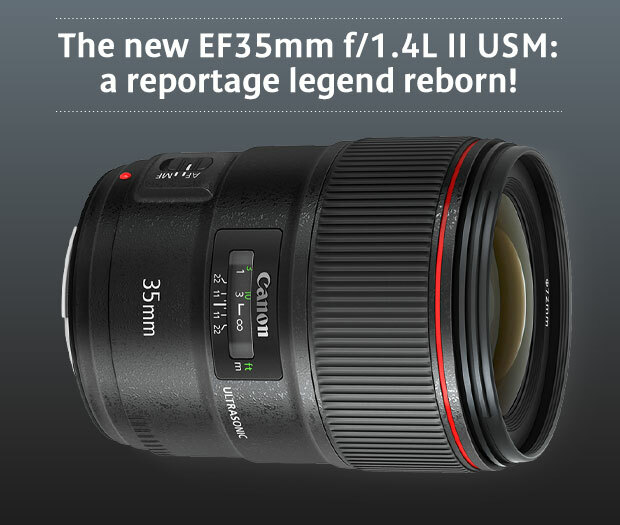 Together with the announcement of the EF 35mm f/1.4L II lens, the EF-M 15-45mm f/3-5-6.3 IS STM lens and Rebel SL2 camera may also be announced. Keep checking back for the latest news. 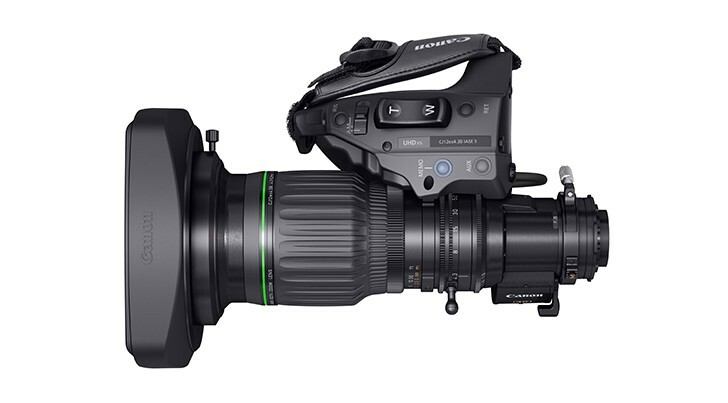 London, UK, 25 August 2015 – Canon today unveils the CJ12ex4.3B, a new 2/3” portable 4K zoom lens with the world’s widest focal length – an incredible 4.3mm, designed for professionals shooting interviews or live broadcast, including sport and news. 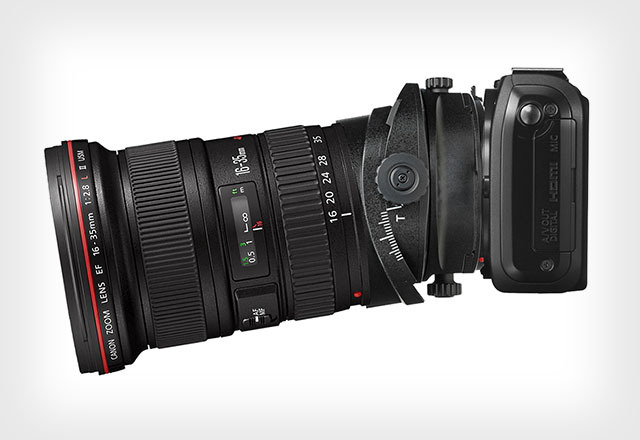 Canon also today announces that it is developing a new compact 2/3” 4K all-purpose-zoom lens. Further bolstering Canon’s 4K broadcast lens range for cameras employing 2/3” sensors, the versatile new lens will be optimised for both indoor and outdoor shooting, across a variety of applications including, sporting events, live broadcasts, as well as television dramas and commercials. Featuring a Digital Drive Unit, the CJ12ex4.3B offers advanced operability giving users the freedom to select repeatable zoom positions and speeds, in addition to focus and iris settings. A 16-bit absolute value encoder integrated into the Digital Drive Unit allows operators to start shooting with the camera’s aberration compensation function in an instant, without the need for any initialisation. This is perfect for news and wildlife environments where action can disappear as quickly as it started. A digital display, built into the Digital Drive Unit, also makes it easy to set, review and adjust vital functions in a way similar to 2/3” HD lenses. Canon has patented an ingenious electronic Tilt-Shift Adapter that can be used with any EF lens.
" . . . . . the camera CPU 302 generates a signal to reduce an image pickup area of the image sensor 301 so as to make available the tilt-shift by the tilt-shift unit, when the image size of the interchangeable lens 100 is equal to the sensor size of the image sensor 301. In S007, the camera CPU 302 changes the image recording range for the obtained image to the range in which the light is not shielded by the tilt-shift operation. The changed range for the obtained image may be automatically selected by the camera side or the changed range may be set by the user." "The camera CPU 302 calculates the shift difference amount based on the tilt-shift amount and tilt-shift direction in S107. In S108, the camera CPU 302 calculates the correction value of the driving amount of the image stabilizing lens 104 to correct the shift difference amount, and sends the correction value to the interchangeable lens 100 so as to drive the image stabilizing lens 104 by the correction value." 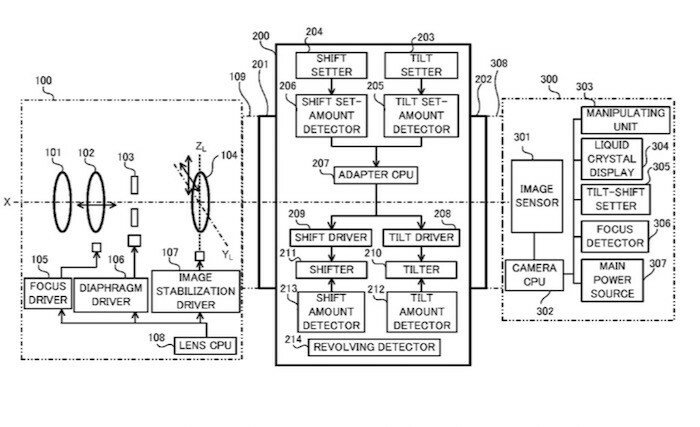 In addition to IS lenses, the patent also discusses the possibility of using sensor shift image stabilization in a similar manner. However, the adapter may not be able to operate on some older cameras. "This embodiment drives the image sensor 301 instead of driving the image stabilizing lens 104. The camera body 300 has an image sensor driver 309 configured to move the image sensor 301 in the Y c and Zc directions orthogonal to the center axis X. This configuration provides an image stabilizer configured to stabilize an image. The other entire structure is similar to that in the third embodiment . . . . "
For a look at the complete Canon Tilt Shift Adapter patent application, click here to download a copy. Canon recently announced their top-of-the-line Powershot G3X camera and Apple is expected to release their iPhone 6S in September. A short while ago, Qualcomm boasted their soon-to-be-released SnapDragon 820 chip will enable smartphones to have 'DSLR quality' photography. Are smartphones really outsmarting DSLR cameras? You know the answer already. I am off to a wildlife photo shoot in South Africa. Bringing my smartphone and DSLR cameras because they both perform different functions well. "The camera on the next iPhone will have a bigger sensor that can take in more light, and a lens that’s designed to work with that improved sensor. This means we can expect the iPhone 6S to capture higher quality photos than the iPhone 6. Apple is currently ordering suppliers to produce five-element lenses for the iPhone 6S that are designed to work with 12-megapixel camera sensors, a person within Apple’s supply chain told Business Insider. These components are said to be in the mass production stage and are on schedule, this source said. This same person also said Apple is ordering six-element lenses for a future iPhone intended to be released after the iPhone 6S (presumably the iPhone 7). We’ve been hearing for months that the iPhone 6S will come with a 12-megapixel camera, but we haven’t heard much about what else to expect. Back in November, Daring Fireball blogger John Gruber said the next iPhone could come with the “biggest camera jump” we’ve seen in years. An “element” refers to a layer of plastic that makes up a part of the whole lens in a camera. Each of these elements, or layers, actually functions as its own standalone lens. But when they’re combined into one lens, they allow a camera to capture more detailed and complex information. Since smartphone cameras are so small, the lenses for these cameras are constructed from layers of high-quality plastic rather than glass. These small plastic lenses are easier to fit into small devices and are much cheaper to produce than glass. In fact, these lenses only cost $1 to produce, according to Laroia. Although the lens for the iPhone 6S will be made of five elements just like the one found in the current iPhone’s camera, it’s made of a higher specification so that it matches the new 12-megapixel sensor, this person in Apple’s supply chain said. The six-element lens being considered for the iPhone 7 (or whatever it ends up being called) would only be on par with what competitors are already putting in their phones. The OnePlus 2?s camera, for example, packs a six-element lens with a 13-megapixel sensor. The Samsung Galaxy S5, which was released last year, is said to have a six-element lens as well. Our source also mentioned that other clients typically order six-element camera lenses rather than five-element lenses. A six-element camera lens allows a camera to absorb more light that a five-element lens would, which results in clearer and sharper images. In order to increase a camera’s aperture, which is essentially a passage that allows light to enter through the camera, you would need to add more elements to a camera’s lens, says Laroia. The larger the aperture, the more light can travel through the lens to the camera’s body, which in turn produces better photographs. “If you want to collect more light, then you need more elements,” he said. 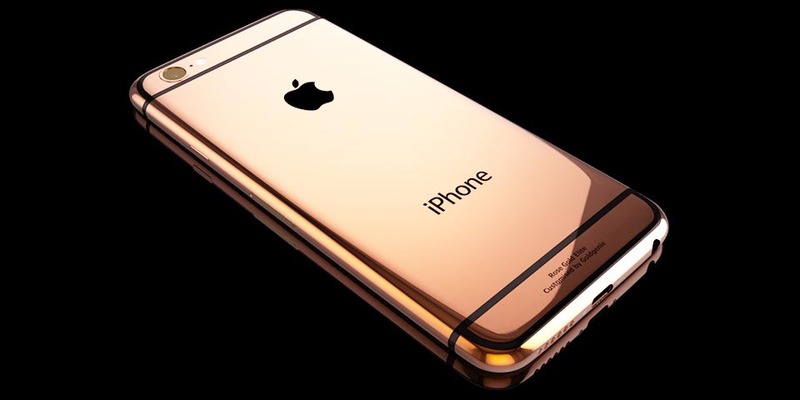 Nothing is considered final until Apple reveals its next iPhone. Supply chain orders don’t always reflect how final products turn out, but it does give us an idea of what Apple might be experimenting with." 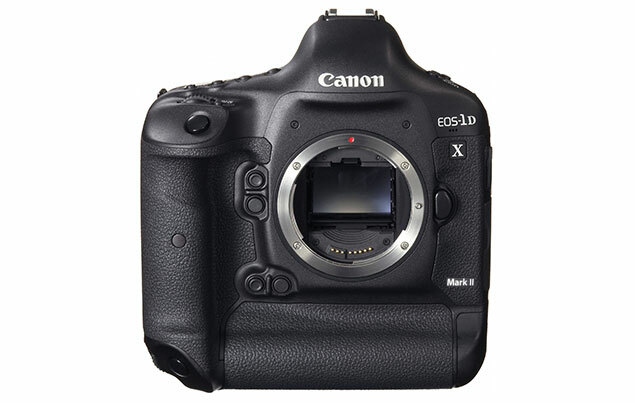 Canon EOS-1D X Mk II camera? My friends in the business have informed me Canon is almost ready to nail down the final configuration and specs of the EOS-1D X Mk II camera. They are waiting for the photographers testing the pre-production cameras to finish their assignments and gather all the necessary feedback and data. Canon invited me to their EXPO 2015 in New York City but I will be away on a wildlife photo shoot. This once every 5 year, by invitation only, technology demonstration takes place in New York City on September 10-11, 2015, at the Javits Convention Center. The EOS-5D Mk IV and EOS-1D X Mk II will most probably be mentioned at the show, together with some interesting development projects. Contact me on my website MichaelDanielHo.com if you want to attend in my place. Keep checking back as I get more info and leaks soon. My readers know I am a wildlife photographer. My photo shoots take me around the globe and the subjects I photograph range from Hummingbirds to Blue whales, the largest animal on Planet Earth, ever. However, I also do some Travel Photography now and then. The video below reminds us of a few points to consider when composing photos of people and places. Read my posts on tips for photographing Hummingbirds, Great whales, Tigers and Polar bears. Visit my website MichaelDanielHo.com to see all the wildlife photos from my past trips. For the very first time the Canon experience zone, located in the Palais des Congrès, will be open to the general public. Visitors will be able to get hands-on with Canon’s latest range of products and solutions; from image capture through to printing. Accredited photographers will be able to book in for a free portfolio review with Getty Images Creative Director, Anthony Holland Parkin, on Thursday 4th and Friday 5th September, and can also visit the CPS desk where they will have the opportunity to get their equipment checked, cleaned and have small repairs carried out, free of charge. A Canon experience bus will be stationed by the Couvent des Minimes, where members of the public will be able to come on board and speak with Canon experts to gain advice on everything from how to take better holiday pictures, to capturing the perfect portrait of your child. Canon will also be promoting its Rugby World Cup partnership during the festival and inviting visitors to have their photograph taken with rugby players from the local famous team, Union Sportive des Arlequins Perpignanais. A variety of other exciting rugby-themed experiential activities will also be on offer for attendees to get involved with and the best photographs taken will be put into a prize draw where three lucky winners will be given World Cup tickets. Canon has sponsored two exhibitions at Visa pour l’image 2015; the first showcasing photographs from the Democratic Republic of Congo by Canon Ambassador Pascal Maître, alongside last year’s Female Photojournalist of the Year Award winner, Viviane Dalles. The second celebrates a body of work from a range of internationally acclaimed photographers to mark the 10th anniversary of Canon’s iconic EOS 5D-series DSLR in collaboration with Getty Images. All of the stunning images have been printed on Canon’s professional large format printer, the imagePROGRAF iPF9100. For the 15th consecutive year, Canon has sponsored the Female Photojournalist of the Year Award, which will be presented at Visa pour l’Image 2015. Also supported by ELLE magazine for the second year in a row, this year’s award is given to Anastasia Rudenko, for her project on mental illness in Russia. Rudenko will receive a grant at the ceremony on 5th September 2015, to support her portfolio of work. All entrants have been judged on both previous works and plans for future projects. In addition, the 2014 winner, Viviane Dalles, will be exhibiting her work on teenage mothers in the north of France at the festival. 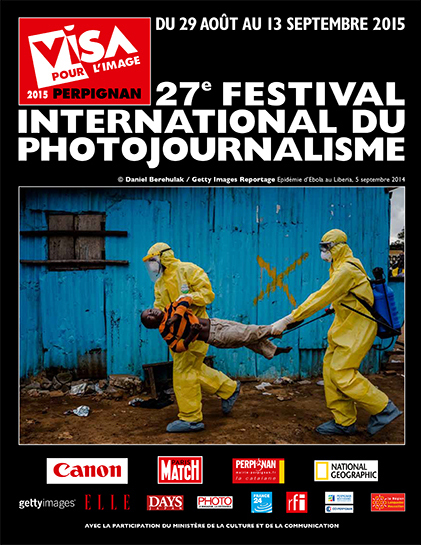 To find out more about the latest updates and plans for the 27th Visa pour l’Image international festival of photojournalism, please visit the Visa pour l’Image website. 'DSLR' Quality SmartPhones To Challenge DSLR Cameras? Recently, Qualcomm deliberately made a headline-grabbing claim, by boasting their, soon-to-be-released, SnapDragon 820 chip would be able to "support superior DSLR-quality photography and enhanced computer vision", all in the palm of your hand, via a smartphone. This incendiary statement flies in the photography world of reality. The new chip runs on the new 14-bit Qualcomm Spectra ISP and Qualcomm claims 4K video capability at 60 fps, 25 MP at 30 fps, 40% less battery consumption, 40% faster processing, superior autofocus, and last but not least, NO shutter lag. Clearly, no thinking person, let alone informed photographers will pay much attention to such a sound bite but I reference the Qualcomm claim in this post to highlight my point - too many people think equipment alone makes a better photographer. Take a look at my recent posts on Smart Phones vs DSLR Cameras and Photography with an inexpensive camera. Remember the old TV show, MacGyver? The series featured Angus MacGyver, who works as a secret agent, is resourceful and possesses an encyclopedic knowledge of the physical sciences. He solves complex problems by making things out of ordinary objects, along with his ever-present Swiss Army knife. Now the guys at DigitalRev is attempting the same feat but in the photography world, by showing us how to use everyday items to perform photographic hacks and tricks. It's mostly tongue and cheek but a little bit of levity on a Sunday morning does little harm. For more ideas on Do It Yourself lighting setup one can do at home, check out this post as well. Apple released Digital Camera RAW 6.06 to support for many recently announced cameras, including the Canon PowerShot G3 X. The following cameras are supported. For a complete list of all camera supported, visit this Apple link. 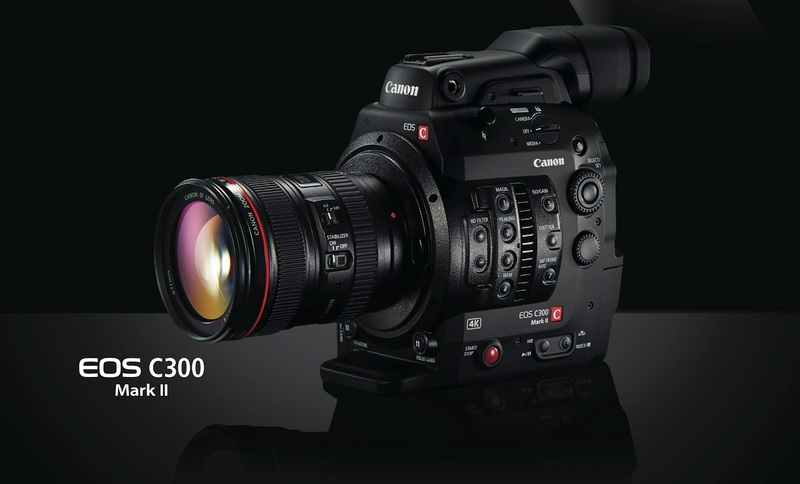 Canon announced the C300 Mk II at NAB in April of 2015. The Cinema EOS C300 Mk II camcorder is a professional camcorder with 4K capability. The first generation EOS C300 camcorder utilized a proprietary Super 35mm CMOS image sensor. It divides the signal into four parallel HD components. The summation of the two green components reduced aliasing that, in turn, supported a higher Luma MTF. The new EOS C300 Mk II preserves these basic strategies but within a totally new 4K CMOS image sensor design. The new camera is intended to significantly extend the overall image performance of HD beyond that of the C300 while further supporting the alternative 2K cinema format. A 15-stop dynamic range is provided by a new photodiode design that simultaneously lowers the noise floor while elevating the saturation level – offering excellent HDR functionality. The Cinema EOS C300 Mk II white paper from Canon USA provides all technical information you like to know before deciding on your purchase. You can see a hands on video and read the review here for the camera. The world of mirrorless cameras have enjoyed a good run in the last few years. The offerings from companies like Sony are especially innovative but still not professional grade. Canon was late to the mirrorless arena and played catch up by introducing the EOS-M and EF-M line about 3 years ago. The EOS-M line of mirrorless cameras is now in its third generation, with the latest EOS-M3 announced in February 2015. Canon's EOS-M cameras sell quite well in Asia, especially in Japan but it has yet to penetrate the rest of the world with any great success. The latest version is not even exported to North America. Apparently, Canon has decided to throw its weight and muscle whole-heartedly behind their mirrorless platform after deciding it will be a priority product. They are the largest photography company in the world and have numerous patents and designs in their laboratories waiting to be brought to market. The EF-M line of lenses will be strengthened with additional zoom and prime lenses. The next generation, the EOS-M4 may be launched as a global camera, much like the EOS Rebel line. Management has not decided when to launch this big mirrorless camera push but it will be next year and I estimate after the announcement of the much anticipated EOS-5D Mk IV camera, expected to be early 2016. The Canon EXPO 2015 is taking place next month in New York City. There may be some mention of their new EOS-M line of innovations and offerings for next year. Keep checking back for the latest development. The Japanese photography blog, Egami has discovered a new Canon patent for a EF-S 100-300mm f/4-5.6 IS lens. We have not seen a new EF-S lens in a while. As an Official Sponsor of Rugby World Cup 2015, Canon is pleased to offer fans the chance to win one of eight unique photography experiences. Winners will get to shadow a Getty Images photographer at an official RWC 2015 open training session for one of the participating nations. Submit your best image showing your 'unique perspective' of Rugby by posting it on social media. We will share a creative theme that will define the judging criteria per submission period. Any images submitted into the competition may appear on the official RWC 2015 image gallery (website and app). By entering this promotion you are confirming and agreeing to the Promotion’s Terms and Conditions. Canon EOS-5D Mk IV full frame camera? 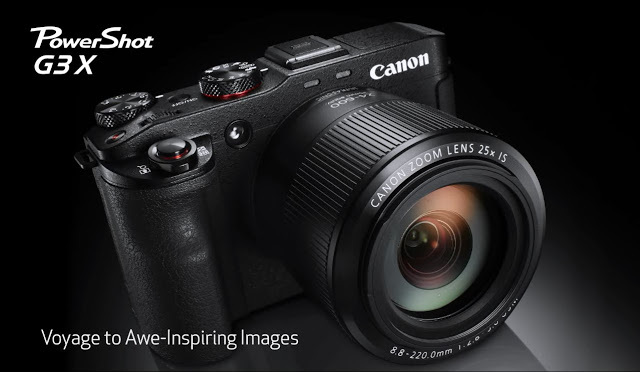 Canon announced the EOS-5Ds and EOS-5DsR cameras in February 2015 for those who want the highest mega pixel camera on the market and crave super high resolution photography. I will not be buying this camera since it is not the right wildlife photography tool for me. I am waiting for the EOS-5D Mk IV and EOS-1D X Mk II, coming out later this year or early 2016. For those thinking of upgrading from the EOS-5D Mk III to either model, take a look at my comparison between the cameras. August is traditionally a slow month for photography news and rumors. Many people are away on their summer vacations, making it the perfect time for the Silly Season of vacuous claims and counter claims on chat forums, especially concerning the Canon EOS-5D Mk IV. My best information and educated estimation is still the same. Nikon will announce their D5 camera first. Canon will then bring out the EOS-1D X Mk II, followed by the EOS-5D Mk IV. 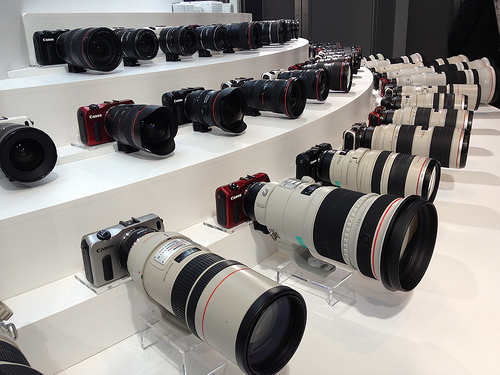 The upcoming Canon EXPO 2015 may shed more light on the two upcoming, highly anticipated DSLR bodies. Keep checking back for the latest news and development. MELVILLE, N.Y., August, 18, 2015 – Canon U.S.A., Inc., a leader in digital imaging solutions, today announced enhanced printers for its PIXMA printer line: the PIXMA MG7720, the PIXMA MG6800 series and the MG5700 series of Wireless1 Inkjet All-in-One (AIO) printers. Ideal for high-quality photo and document printing and creative applications, each model can connect to wireless networks easier than in the past for quick printing from the Canon PRINT Inkjet/SELPHY2 application with compatible mobile and tablet devices. Catering to the wants and needs of the everyday user, each model can also be used to create additional copies and scan important documents for archiving purposes as well. All of the printers utilize new genuine Canon inks, which provide deeper blacks and more vivid reds in photos for easy printing at home, and provide more visual impact for printing documents on plain paper than previous models. The new PIXMA MG7720, PIXMA MG6820, PIXMA MG6821, PIXMA MG6822, PIXMA MG5720, PIXMA MG5721, and PIXMA MG5722 Wireless1 Inkjet All-In-One (AIO) printers now support Apple AirPrint™ wireless technology, allowing consumers and home office professionals alike to seamlessly print photos, emails, web pages and documents wirelessly from iPhone®, iPad®and iPod touch® devices2, without downloading or installing any device drivers. To further expand upon the usability and effectiveness of the Canon PRINT Inkjet/SELPHY application and PIXMA Cloud Link3, new features include the ability to print images directly from any Instagram4 feed, so special moments can live beyond the screen. In addition, Canon Easy-PhotoPrint+5 and Creative Park web applications can be accessed from compatible smartphones and tablets to share and edit individual photos using cloud technology as well. Also, documents can be printed from SlideShare and users can send scanned documents directly to OneNote®6. Improving upon initial setup time as compared to predecessors, users can install the printer drivers approximately 30 percent faster with the PIXMA MG7720 printer. All seven models also have an improved wireless printing experience for compatible smartphone and tablet users through the updated Canon PRINT Inkjet/SELPHY application, and can easily print and scan images and documents to several of the most popular online social platforms and services, such as Facebook®, Twitter®, Flickr®, Photobucket®, Dropbox®, Evernote®, Creative Park, Google Drive™ and Microsoft® OneDrive™. In addition, these models support Google Cloud Print™, for printing from Gmail™ and Google Docs™ on a compatible mobile device, and from the Google Chrome™ browser for Mac®, Windows®, Linux® and Chrome OS™ operating systems. The PIXMA MG7720 printer, which also includes the PIXMA Touch & Print feature that allows direct printing from compatible Android devices, along with the PIXMA MG6800 printer series, are the perfect creative tools for students who need to print on the go from just about anywhere using Canon Creative Park projects. Rounding out the new lineup, the PIXMA MG5700 printer series is the economical choice for printing homework assignments or other important documents at home while still providing creative features and quality photos. 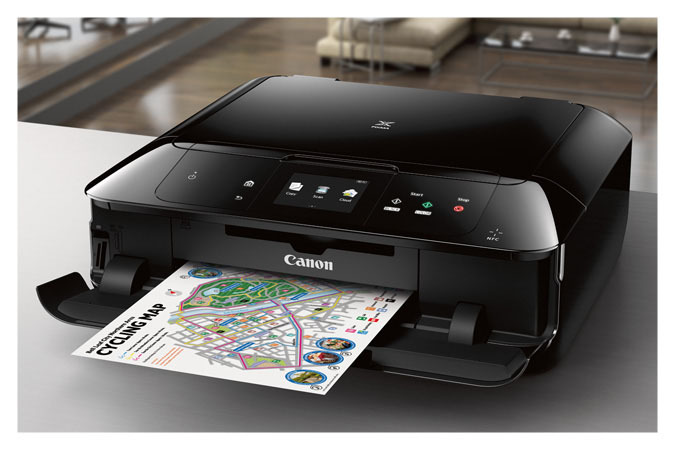 Each printer features Auto Power On/Off functionality, Auto Two-sided Print and PictBridge7 printing via wireless LAN for a direct connection to select Canon Digital Cameras. All of the models also come with My Image Garden8 software to offer a variety of features designed to inspire and enhance creativity while empowering the sharing of images. My Image Garden also features Full HD Movie Print9 software to help users produce clear images of frames from videos captured on select Canon EOS Digital SLRs, PowerShot Digital Cameras, and VIXIA Camcorders. In addition to the aforementioned features, the PIXMA MG7720 printer comes equipped with the Intelligent Touch System user interface and a 3.5-inch touch screen to easily navigate through various menus. This model also features six individual ink tanks to produce photo lab quality photos at home and professional looking documents. The PIXMA MG7720 printer will be available in black, white, gold and red and has an estimated retail price of $199.9910. The PIXMA MG6800 printer series features an easy-to-use, 3.0-inch TFT touch screen for easy navigation and a five color individual ink set. It is also equipped with a dual purpose paper tray for plain paper in addition to photo paper where a beautiful 4 x 6 inch borderless photo can be printed in approximately 41 seconds11. The PIXMA MG6820 printer will be available in white and black while the MG6821 is available in black/silver and the MG6822 is available in white/silver. Each model has an estimated retail price of $149.9910. The PIXMA MG5700 printer series includes the same five individual ink tank system as the PIXMA MG6800 series printer models where four of the inks are designed for use when printing a color document or image in addition to a dedicated ink tank for printing black and white text documents. These models are also capable of automatically printing a two-sided document to conserve paper. The PIXMA MG5720 printer will be available in white and black, while the MG5721 is available in black/silver and the MG5722 is available in white/silver. Each model has an estimated retail price of $99.9910. For more information and the full list of product specifications, visit : http://printinginnovations.cusa.canon.com/pixma and see why sometimes it is best to print out photos. 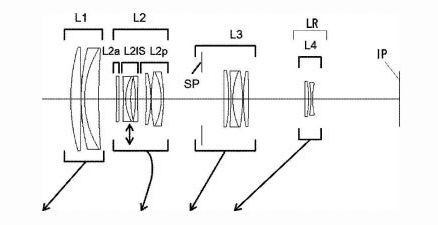 Egami, the Japanese photography blog has uncovered a new Canon patent of a 10-120mm f/1.8 lens for an 1 inch sensor. Canon announced the XC10 camcorder in April 2015, with a 1 inch sensor and 4K video. The camera has not received many rave reviews and is just an opening shot for Canon in the non-professional 4K camcorder space. The EOS C300 Mk II camcorder equipped with Dual Pixel CMOS technology and 4K video is for serious filmmaking. 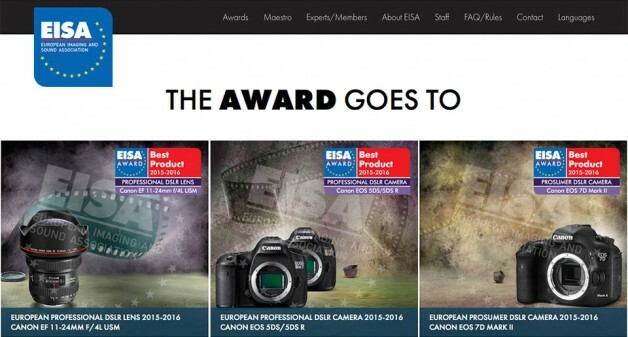 United Kingdom, Republic of Ireland, 15 August 2015 – Canon today announces it has received three prestigious awards from the European Imaging and Sound Association (EISA). The EOS-7D Mark II has been named the ‘European Prosumer DSLR Camera 2015-2016’, both the EOS-5Ds and EOS-5DsR have been honoured with the title of ‘European Professional DSLR Camera 2015-2016’, while the Canon EF 11-24mm f/4L USM has been awarded ‘European Professional DSLR Lens 2015-2016’ – highlighting the outstanding quality of Canon products throughout its DSLR and lens range. The Canon EOS-7D Mark II is one of the best APS-C DSLRs ever made, offering features normally only available in professional full frame models. The 65-point AF system gives fast and responsive focusing in a wide range of conditions, even when tracking fast moving subjects. It can shoot at 10 frames per second, with a huge buffer even when shooting in Raw. The build quality is superb, with full weatherproofing that can cope with almost any conditions. Overall the 7D Mark II is perfect for sports, action and wildlife photographers who like to capture the most fleeting moments. 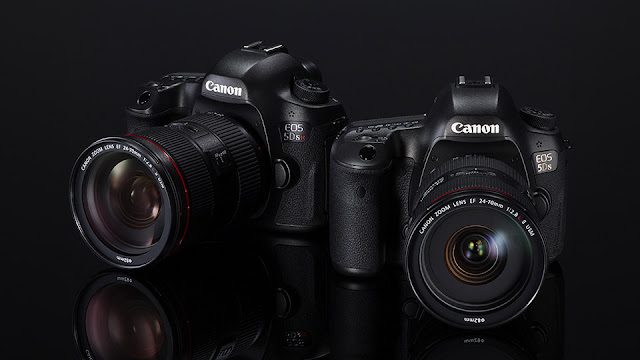 The Canon EOS-5Ds and EOS-5DsR are the highest resolution full frame DSLRs on the market. The two models give photographers a choice: the EOS-5Ds includes an optical low-pass filter to suppress digital imaging artefacts, while the EOS-5DsR cancels its effect for the sharpest possible images. The 50.6-million-pixel sensor, dual DIGIC 6 processors, reduced mirror vibration and reliable metering deliver superb image quality, while the 61-point AF with 41 cross-type points ensures reliable and fast AF performance. These two cameras are the perfect choice for professional photographers for whom ultimate image quality really matters. 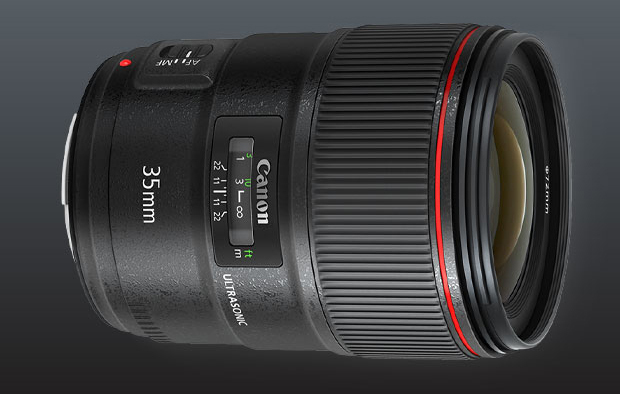 With the EF-11-24mm f/4L USM Canon’s engineers have constructed one of the best wide angle zooms ever made. The world’s widest rectilinear zoom provides class-leading image quality, with exceptional sharpness at all settings even on high resolution sensors. Distortion, chromatic aberration and vignetting are all kept reasonably low. Construction is superb, with weather sealing for outdoor use, and the autofocus is fast and silent. Full-frame users specialising in landscape, architectural or interior photography who demand exceptional optical performance need look no further. It’s bulky and expensive, but for those who can afford it, it’s an absolutely outstanding piece of glass. Celebrate 10 years of Canon EOS-5D Cameras. 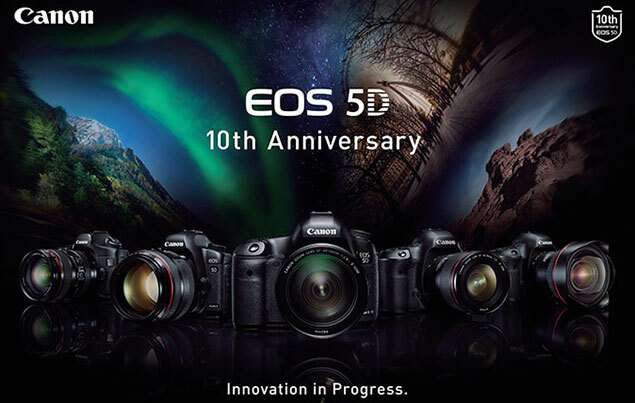 September 2015 will be the 10th anniversary of the launch of the original EOS-5D. The EOS-5D series cameras have been landmarks in DSLR photography. The original EOS-5D brought full frame DSLR photography to the consumer and advanced amateur market. The EOS 5D Mark II raised the bar to 21.1 MP resolution while being the first DSLR to capture 1080P HD video. Hollywood has never been the same with TV shows and major motion pictures shot using the EOS-D Mk II. The EOS-5D Mk III again pushed the limits with a combination of high resolution, amazing high ISO performance and six frames per second. 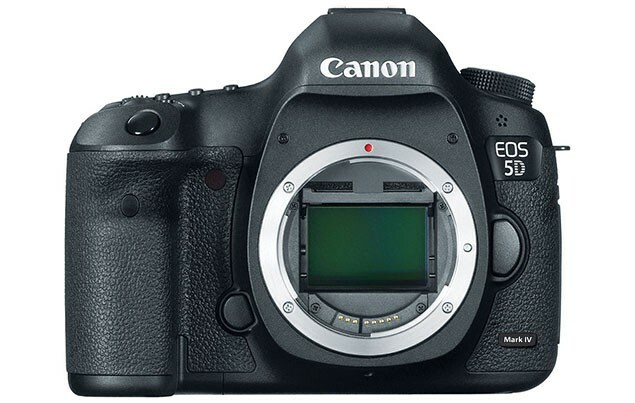 The EOS-5D Mk III also brought the EOS 5D series to new levels with 61 AF points (similar to the EOS-1DX). Now Canon has added the EOS-5Ds and EOS-5DsR cameras that push the envelope to 50.6 MP resolution. There is a top-rated merchant on eBay selling the Canon EOS-5Ds and EOS-5DsR cameras for $2,949 and $3,499, respectively, including free shipping. Hurry, it won't last. This is an excellent deal for those who want the highest mega pixel camera on the market and crave super high resolution photography. 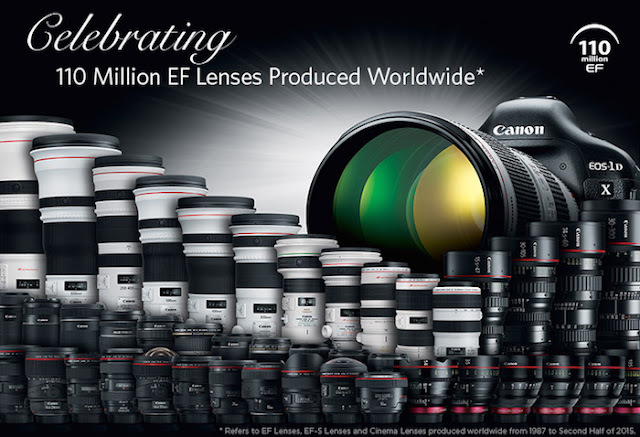 See the latest Canon EOS cameras and lenses including all of the current and past EOS 5D cameras. Canon Live Learning Instructors will be on hand to answer your questions on equipment choices or photographic techniques. A short history of the EOS 5D line of cameras, followed by the cutting of the cake. Help us cut the anniversary cake and celebrate the 10 years of the EOS 5D camera line. Door Prize drawing follows. We will be showing the documentary “Bending the Light,” a Michael Apted documentary that honors the artisans and craft of still and motion photography and, in particular, the glass that captures it all. Talk with Canon Live Learning instructor, Dave Henry, about his experiences with the EOS 5DS and EOS 5DS R. Dave has shot over 22,000 images with these cameras. You will also be able to examine his 35 – 24’’ X 36” gallery prints, complete with descriptive metadata. Canon returned my camera equipment after servicing a few days ago. Among them is my EOS-1D X camera. Except now it has Firmware Version 2.0.8 loaded on it. This is nothing unusual. The Service Department routinely installs the latest firmware available to them. I doubt this version will have anything major. Probably mostly minor fixes to a model awaiting upgrade. 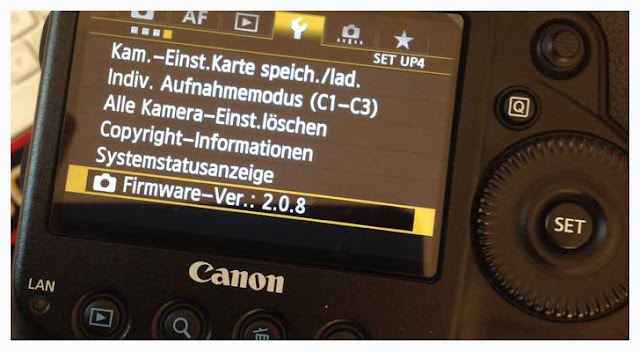 Canon should make the new firmware available to the general public soon. My readers know I have been in wildlife photography for a long time. When I am on a photo shoot anywhere in the world, the best laid plans of mice and photographers sometimes go awry. Airplanes, boats, jeeps or other vehicles can get delayed or run into engine problem. Photographic gear and computers can malfunction and put out indecipherable error codes. Like the wise man say, 'Feces Occurs'. For me, the best defense against expected and unexpected problems is - Back Up. I usually pack duplicates of everything in my equipment bag that is crucial to the photo shoot - cameras, lenses, batteries, memory cards, etc. and especially credit and ATM cards for overseas trips. The video from DigitalRev below shows some of their photography bloopers, some genuine, others probably manufactured. Nonetheless, a bit of levity and entertainment rarely hurts. My readers know me as a wildlife photographer but in addition to wildlife photography, I also do a little travel photography around the globe. For those who travel to Asia, Hong Kong is a must see place for shopping and street photography. One of the best street photographers I know is Fan Ho (no relation to me). Take a look at the video below from DigitalRev.com They have a list of must-see, must-photograph locations for those visiting this former British colony.